Drivers in North Carolina understand the importance of having auto insurance coverage. With so many different types of coverage, and with such a wide range of premiums and deductibles, drivers need to understand what coverage they need and what they can afford. The experts at Simpson Insurance Agency can help drivers determine which auto insurance policy best suits their needs and fits their budgets. When drivers get into accidents with other drivers who are either uninsured or do not carry adequate coverage, the repair costs can mount up quickly. An uninsured motorist policy protects drivers who encounter motorists who have little to no liability coverage. A liability policy covers the costs of any property damages and medical bills for which the policy holder is deemed responsible. North Carolina law requires all drivers to have at least a minimum liability coverage policy. A personal injury protection policy covers the driver in the event of an injury stemming from an auto accident. This policy helps drivers cover some or all of the medical costs that can result from a collision. While a liability policy covers the damages done to another car in an accident, collision coverage repays the damage done to the driver’s car. 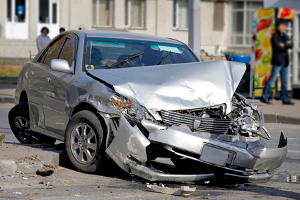 If the car is a total loss, collision coverage claims can pay toward the cost of a new car. A comprehensive coverage policy covers non-accident related damages, such as weather, theft or vandalism. Drivers can reduce the cost of comprehensive coverage by installing alarms, tracking devices or other theft deterrent measures.